Our hair is a very important aspect of our image, it is only natural that we take care of it the best we can. With a strong demand for oils in beauty, especially for nourishing, repairing or lightening hair, the market for haircare products withholds a strong growth in the last couple of years. Packaging is a key marketing tool that brands use to position their products and it’s being valued by consumers every day more. It´s so important that an inadequate presentation, unable to respond to product positioning and/or to the needs of the consumer, causes, surely, Its failure in sales. Going back to hair products, packaging, more than in other categories must combine design and functionality. The presentation of cosmetic display for haircare should provide an immediate visual impact, allowing the consumer to identify it quickly to the naked eye and be able to enjoy a functional and efficient packaging. 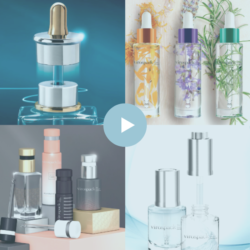 The use of droppers in cosmetics is an increasing trend, droppers are well valued by brands and consumers beyond skin care products. Droppers are being introduced in many haircare products since many hair treatments require a localized and controlled application, as well as an accurate precise dosage. Brands have embraced the use of droppers and therefore offer low viscosity formulas, ideal to be dispensed drop by drop. Droppers are the perfect decision for many hair care products, a pharmaceutical dispenser, easy to use and with pharmaceutical connotations. 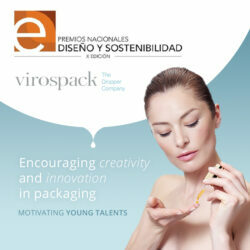 Virospack, always adapting to what brands need, proposes a standard range of droppers specific for hair care products. Droppers that are easy to use, safe in operation, accurate in their in-take and dispensing formula, and of course, with an excellent quality and design. Our new droppers for haircare are a line of classic droppers with rubber bulbs known for their flexibility. They also provide a bigger suction capacity of 0.8ml, a higher formula in-take for use in hair care, with greater surface to be treated compared to our skin care ones. Our new droppers are designed to have a unisex look. Our larger cap -330mm diameter- and 24/410 thread, helps captivate the consumer attention at the moment of decision. Equipped with a perfect and suitable look, a specific code for identifying its category, gives and end product that meets halfway between toiletries and personal care. 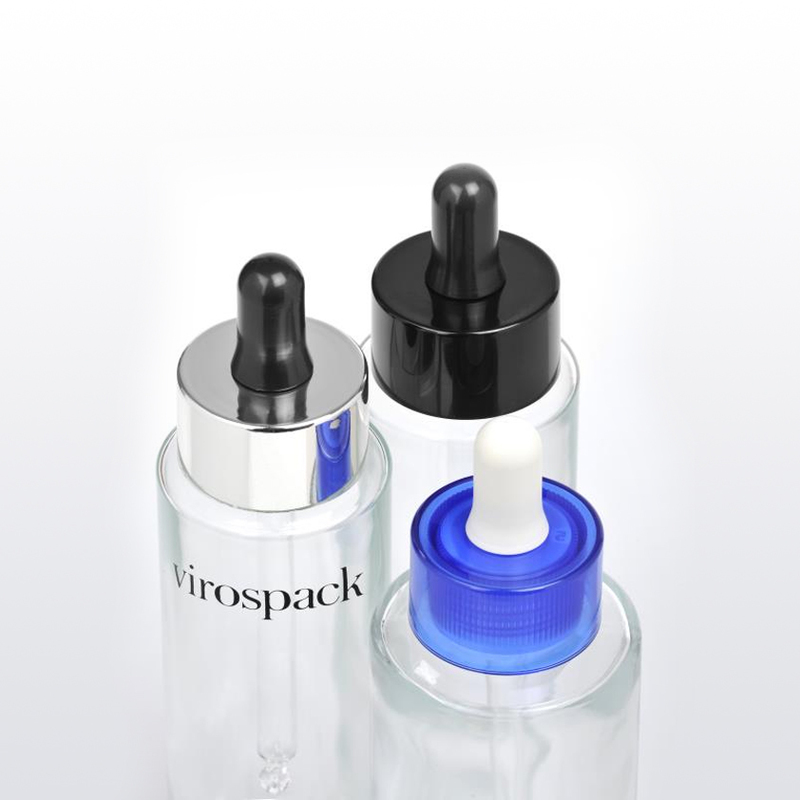 Virospack range droppers, developed and manufactured in our facilities, are fully customizable; Thanks to our wide range of standard finishes. The availability of caps in different materials allows personalization and widens the range for our portfolio for haircare. Our new range of specific droppers for hair products, that increase demand every day in the market, have been subjected under the rigorous quality control of the company. As well as the strong requirements of compatibility with the formulas to which we put all our orders under. Strict testing that ensures our quality and expertise that market leaders like Virospack must have. – Classic dropper with rubber bulb. – Bigger cap diameter. Available in different materials. – Unisex look easy customizable thanks to our range of standard finishes. – In-house production and decoration.